VIVE LA FRANCEAmerican infantry about to land on the soil of France. 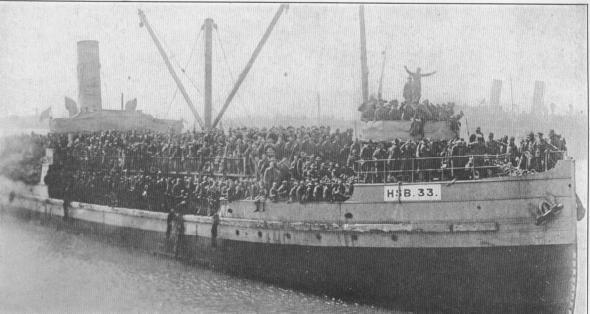 During the war, the United States Navy transported more than 2,000,000 men overseas, over 306,000 of them being carried to Europe during the one month of July, 1918. 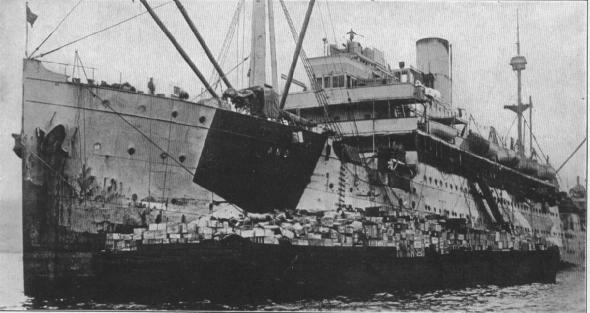 FOOD FOR MEN AND GUNSAn indication of the huge amount of supplies it was necessary to send to France to keep the war machine going. Our cargo fleet reached 2,700,000 dead-weight tons and carried about 7,500,000 tons of material to Europe.